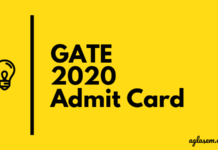 GATE COAP 2019 Login has been started for Registration. The candidates can use GATE 2019 Login to check the status of an offer for their job/ admission. GATE COAP Login is accessible by only those candidates who successfully register for COAP 2019 before the last date. After the registration is done, the candidates get their COAP Login 2019 which are User ID and Password. 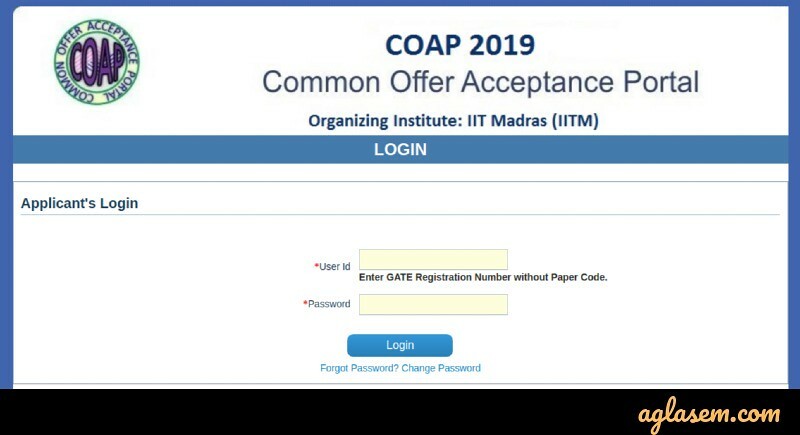 Now, with the help of COAP 2019 Login, the candidates can accept the offers made by the participating IITs, check the status of the offer, etc. 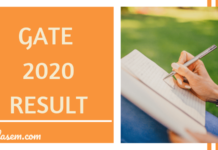 Candidates can check more details on GATE COAP Login 2019 from this page. 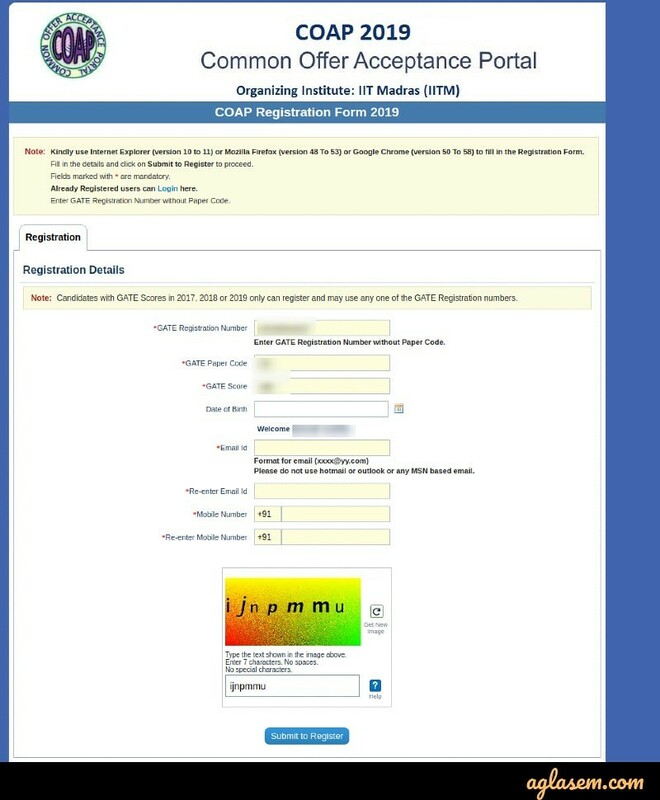 Latest: GATE COAP 2019 Login has been started for the registration. Apply using the link below to register now. 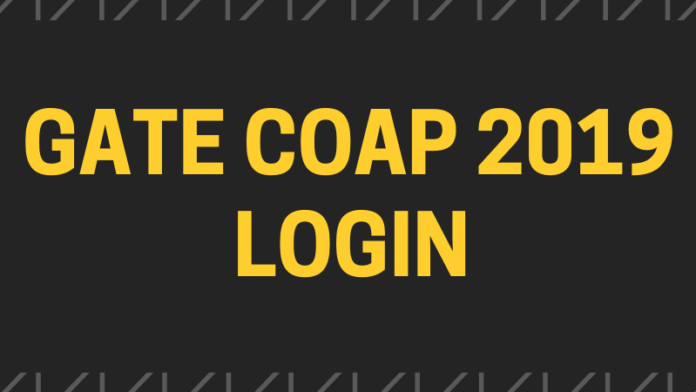 What is the Use of GATE COAP 2019 Login? COAP 2019 Login: Click Here to log in for COAP 2019. 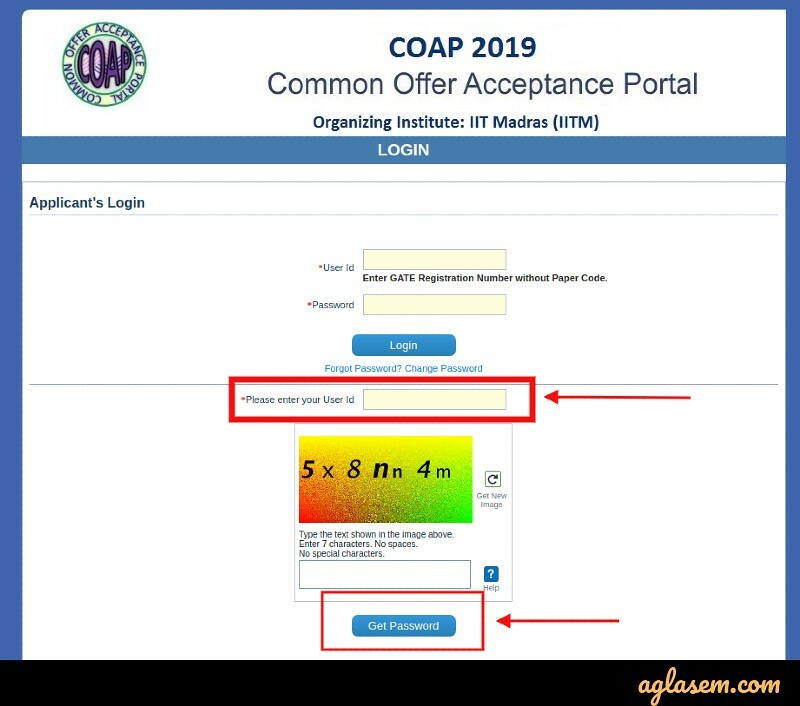 How to Create a COAP 2019 Login? Click on the direct link which is provided on this page for COAP Registration. Next, the candidates need to read all the instructions very carefully and then proceed to fill in details. You will have to provide details such as GATE Registration Number, GATE Paper Code, GATE Score and your date of birth. Then click on the validate button. After the validation is done, the candidates will then have to fill in their Email ID and Mobile Number. On completion of the above-given steps, the candidates will then have to click on the “Submit to register” button. Finally, you will receive a Logn ID and Password. The same will be sent on the candidate’s registered email id and mobile number. Note the login details carefully or take a print out of the registration form for future reference. What are the GATE COAP 2019 Login Details? 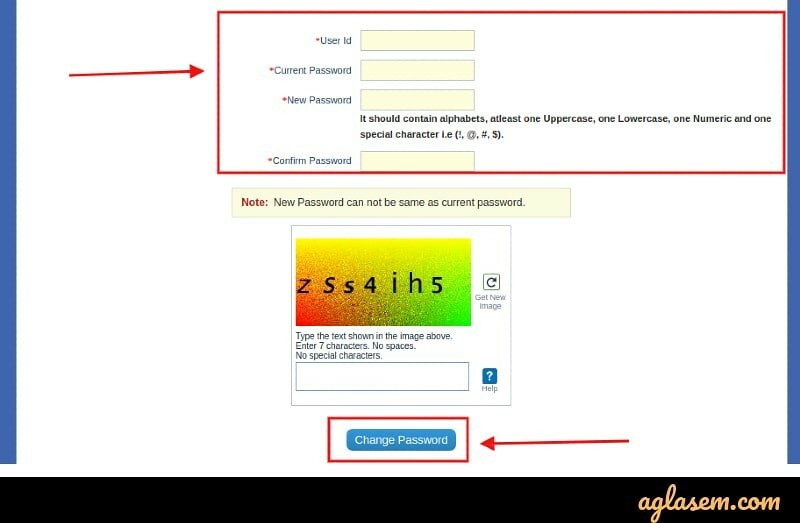 Password – In this field, you’ll have to write COAP Password as created by you at the time of Registration. 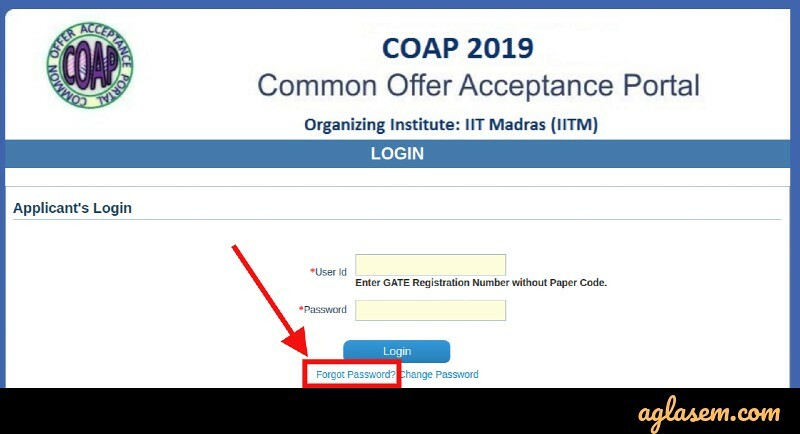 How to Use COAP 2019 Login If Forgot Password? Click on the COAP Login link provided on this page. To retrieve the Password, you will have to enter your User ID in the specified field. Then click on the “Get Password” button. How to Change your COAP 2019 Password? On the COAP 2019 Login page, the candidates will have to click on the link which says “Change Password”. Next, the candidates need to enter their User ID, Current Password, New Password, Confirm Password. After entering these details, click on the “Change Password” button.